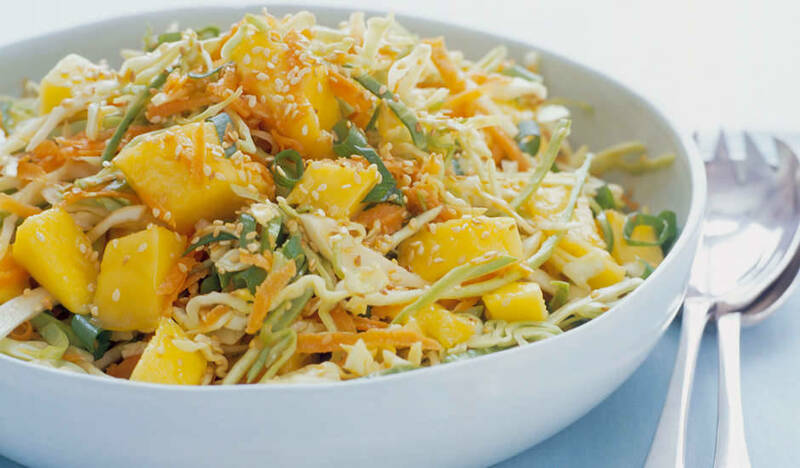 Add carrots, onions, cabbage, sesame seeds and dressing to mangoes. Toss gently. Serve.